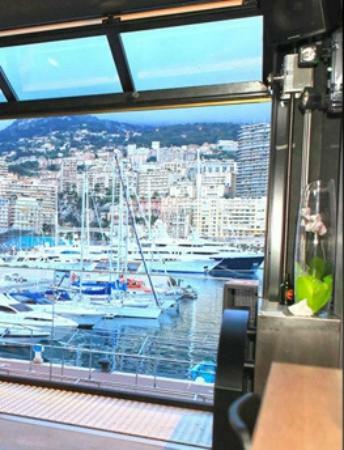 Who knew that one afternoon I would be sitting on the terrace overlooking Port Hercule in Monaco at an American themed sports bar and restaurant called Stars‘N’ Bars? But you know what? It turned out to be a fun place! 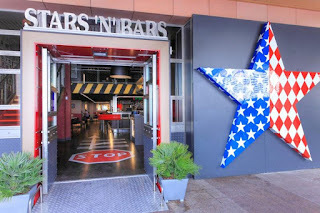 With Monaco known worldwide as being very high end, Stars ‘N’ Bars holds its own very well and doesn’t seem to come with the high sticker price attached. 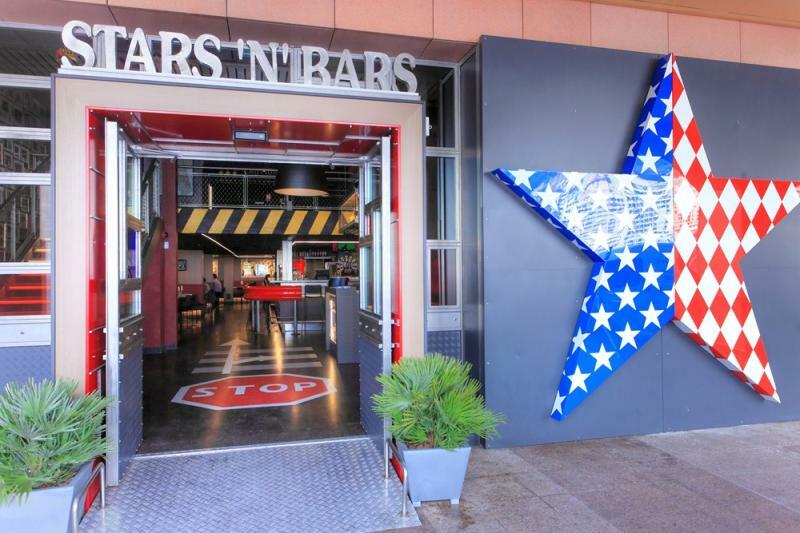 Originally an abandoned warehouse, Stars ‘N’ Bars Monaco is now a gathering place for everyone. Here you will find business people on their lunch hours, families, and from what I have seen on my visits, quite a few very good looking single people getting a start to their night out. Size wise, this restaurant is easily on par with those similar types of businesses in North America, so there is lots of room to sit down and enjoy a meal, have a meeting or mix and mingle with others. 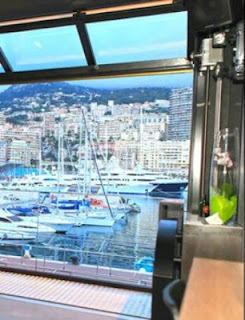 In fact I recall my first visit with a few friends easily turning into a three to four-hour plus stay and our table on the terrace kept expanding with others joining in on the fun. Stars ‘N’ Bars is a great venue to meet new people. 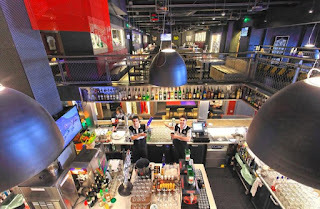 The bar/restaurant itself is built over three levels with a state-of-the-art sound system, tons of sports memorabilia to see and purchase, an amusement arcade area, discotheque facilities and flat screens throughout the establishment and of course, the large terrace out front next to the water’s edge. The staff are upbeat and quick to provide good service, and although I wouldn’t consider myself a ‘foodie’, the food here is delicious and very much like a North American restaurant would serve.So if you are from North America and have a craving for those home-style hamburger and fries, check out Stars ‘N’ Bars Monaco. 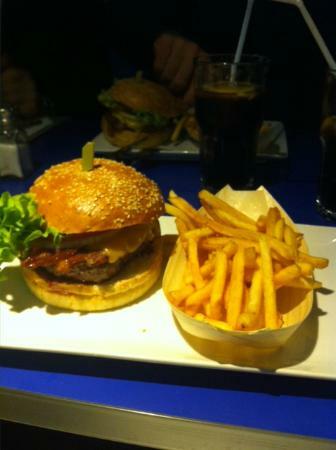 Open from 11am until 12am every day of the week, Stars ‘N’ Bars can be found at: 6 Quai Antoine 1er on the edge of Port Hercule. 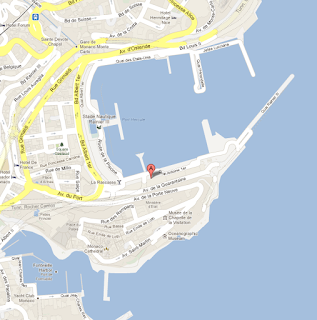 Stars‘N’ Bars Monaco always seems to have a lively and fun atmosphere and given its location, it’s an ideal place to watch the day go by and see the twinkling of the lights around the principality during the evening while the yachts bounce gently on the water at the port.